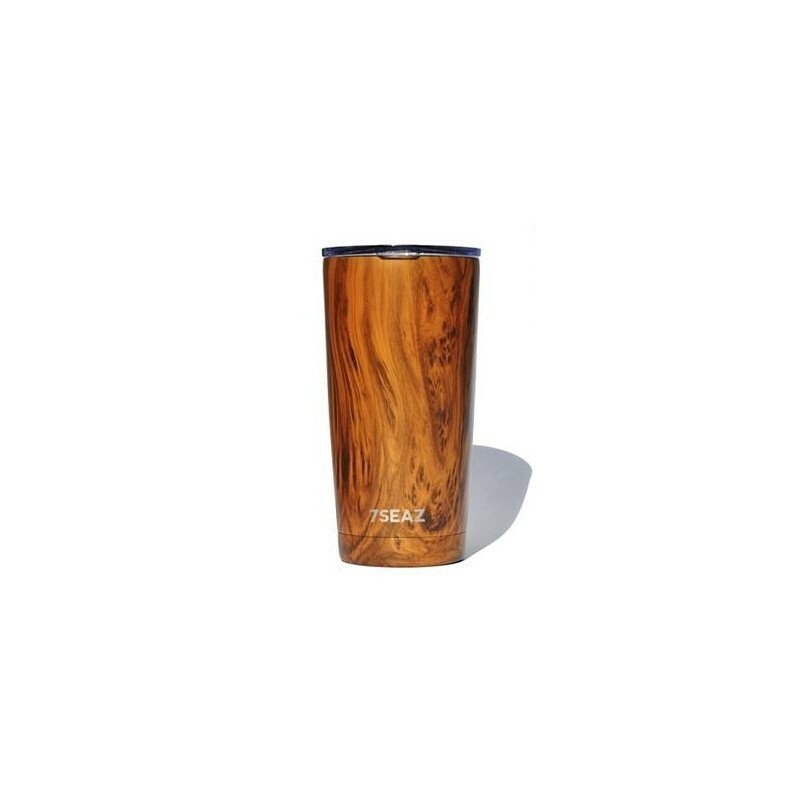 This stainless steel thermal insulated coffee cup keeps drinks hot for 12 hours and cold for 24 hours. 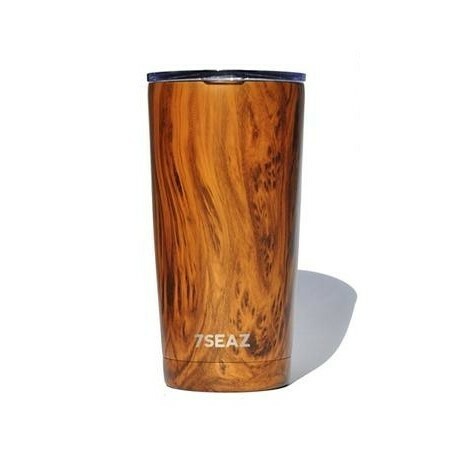 Featuring a stylish woodgrain design. 600ml. Price includes cup only. Reusing an insulated coffee cup discourages the use of single use plastics. Keeps liquids cold (iced coffee or tea) for 24 hours & drinks hot (coffee, hot tea, hot chocolate) for 12 hours. Always underfill when using hot liquids to avoid burns. Includes a cafe-style reusable plastic lid, with space to sip from. Splash proof only - not leak or spill proof (drinking opening cannot be closed).